The Rockabilly Guys filmed live on stage in 1981, plus bonus footage of Boz Boorer with his band The Bozmen from 1988. 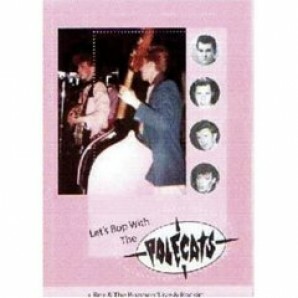 The Polecats were the most energetic and colourful band of the early 80's Rockabilly Revival, and along with Matchbox and Brian Setzer's Stray Cats, took Rockabilly back into the charts with hits like 'Rockabilly Guy', 'John I'm Only Dancing', 'Jeepster' and 'Make A Circuit With Me'. Their Dave Edmunds produced album 'Polecats Are Go' is regarded as one of the classics of the genre. But The Polecats were at their wild best when live on stage, as this 1981 performance displays. After The Polecats split, guitarist Boz Boorer joined Morrissey, and also had Rockabilly projects such as Boz & The Bozmen, who's appearance at a Rockabilly alldayer in 1988 is included here as bonus footage.